Zuoan is China top manufacturer of explosion proof camera for more than 13 years. 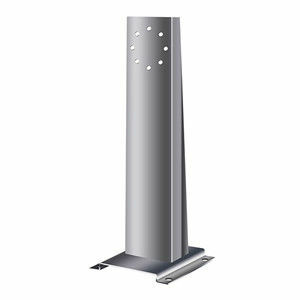 Our product has covered the whole CCTV surveillance solution, from the explosion proof camera housing, explosion proof pan tilt, integrated explosion proof PTZ camera station, to the display and control station, like explosion proof monitor, explosion proof control box, explosion proof speaker, and explosion proof phone. With ATEX, IECEx, CNEx explosion proof certifiate, Zuoan products are welcomed by the international market. Client can offer your brand camera to us do assembly inside of explosion proof camera housing, or Zuoan also offer the integrated explosion proof housing within camera. 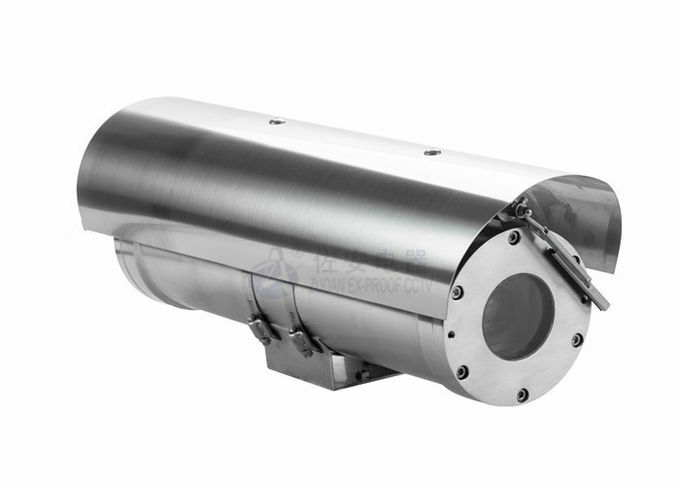 All Zuoan explosion proof camera housing is made of stainless steel 304 or 316L material. The front window adopts strong tempered glass. The glass passed impact and terminal shock test. 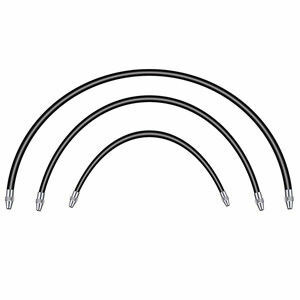 At the rear cover, there are 2 pcs glands for cable thread by. Zuoan explosion proof camera housing has passed the IP68 test. 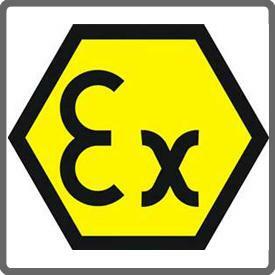 The test follows the IECEx standards, include water and dust ingress test. The explosion proof camera housing surface can be special treated, such as electropolished and painting finish for more aggressive area. The power supply for explosion proof camera housing can be AC24V or AC100-240V. In cold winter, hot summer or heavy moister area, it is optional to add heating and cooling kit inside of the explosion proof camera housing. so as to make a dry and comfortable working temperature for camera operation. ATEX explosion proof camera housing can apply for industry hazardous area, gas zone 1,2; dust zone 21, 22. Its surface temperature will no more than 80°C in normal operation. 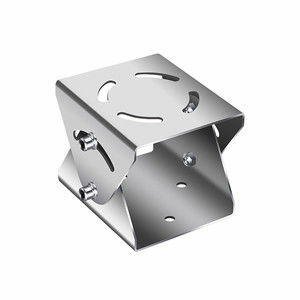 The explosion proof camera housing is also fit for T1 to T6 grade gases, vapors and air may exist. 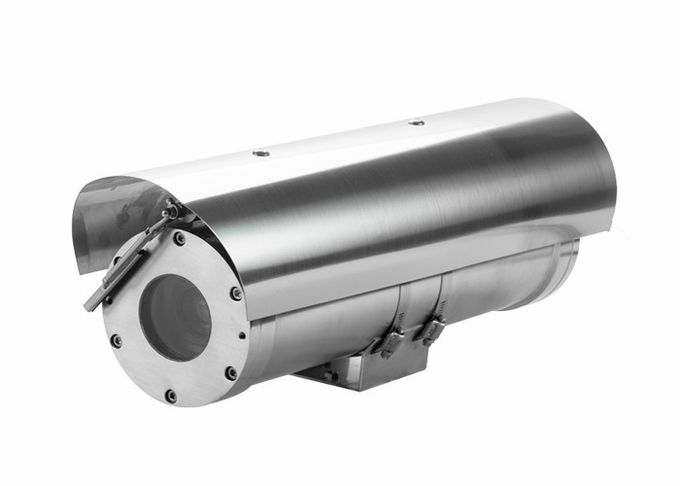 With stringent certifications, explosion proof camera housing enable safe, effective surveillance for chemical sites, oil and gas facilities, food processing plants and numerous other hazardous environments. such as Chemical factory, petrochemical processing plant, pharmaceutical plant, Oil refinery plant, Gas station,Oil tank truck, Natural gas project, marine, offshore/ onshore oil drilling platform, coal mine, Grain storage, winery storage, fertilizer storage ect.